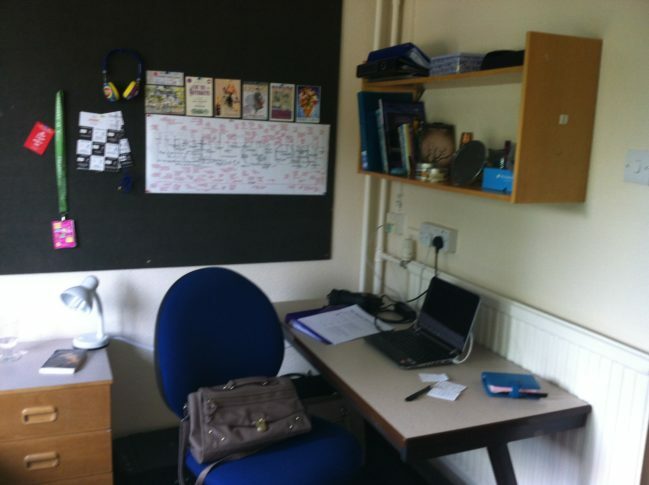 Accommodation: What’s it like to live at university? Moving away from home can be a big part of the university experience. 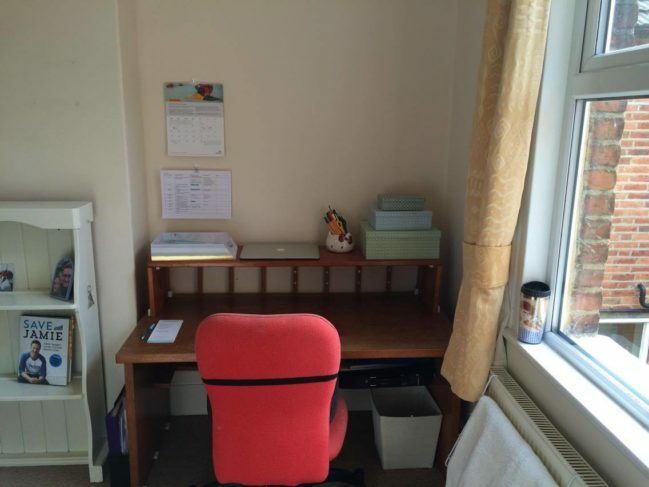 In this blog post I talk about the differences between university owned and private accommodation, with images from the places I’ve lived in during my time at Surrey! My room in my final year at Surrey in private accommodation, living in a house with three other housemates. For lots of people, student halls are your first experience of living independently. Most freshers choose to go into student halls, and it’s a great option for those new to the area and university life. This was the case for me and I remember being so excited and nervous to move into my new room! 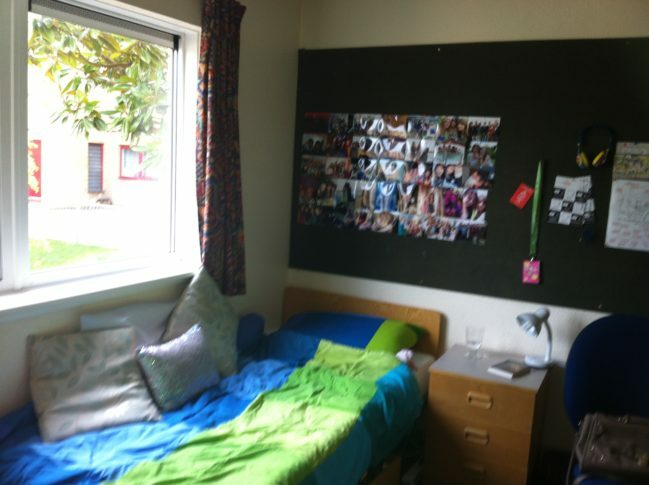 A slightly blurry picture of my room in first year! I loved having a big notice board where I could put up pictures and make the room feel more homely. At Surrey, most first year students live in uni halls. Second years and final years do also live in student halls, although the spaces are more limited. Surrey accommodation is in price bands (there’s lost more information on the Surrey Accommodation Services website), so there are options to fit everyone’s tastes and budgets. It’s a great way to meet new people. What if I don’t like my flatmates? As it’s not your choice who you live with, it’s possible you will be living with people who you don’t get on with. Whilst this can be really frustrating, it’s not the end of the world if this does happen! I was lucky enough to get on with my flatmates and lots of the people I knew did as well, but the few people I knew who didn’t found friends elsewhere. There are so many opportunities at university to meet new people as you’re surrounded by your peers. For example, a lot of students meet people through other things, like your course, mutual friends or by joining a club or society (which I’d highly recommend!). Private accommodation means any accommodation that is privately rented, from a landlord that is not associated with the university. Surrey students tend to start looking at houses in the second semester, starting from the earliest January to find somewhere to live for the next year. This is great for first years as it gives you a few months to decide who to live with. My desk in my room now! I’ve tried to make the space a nice place to study and feel like my own. In most private accommodation, you can choose who you live with and how many people you want in your flat. There are a variety of options including flats and houses that cater to a different number of people. Surrey has a website called Surrey Student Pad that advertises landlords houses that meet their standards, which can be a great place to start looking. Student Pad also hosts forums for people looking for flatmates or places to stay, which is how I found my flatmates in final year. How close is it to campus? 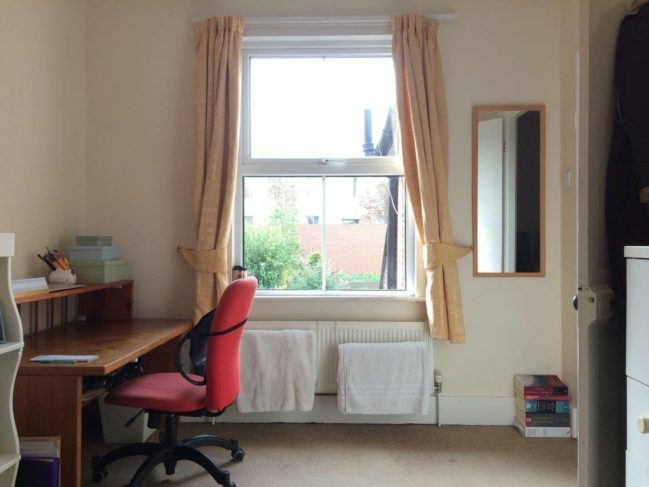 Private accommodation is often slightly further away from uni, as the accommodation isn’t on campus. If you choose Surrey, do you want to live closer to town or to Surrey Sports Park? 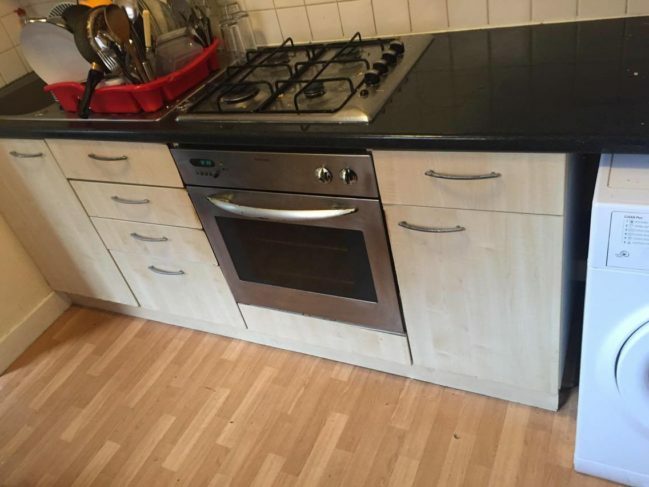 How long is the rental contract? Lots of landlords only rent for a whole year period, so if you are only at uni for 9 months you still pay for the whole year. I hope this has been a useful insight into living as a student and the differences between student halls and private rentals. For more information, Surrey Accommodation Services have lots more details.